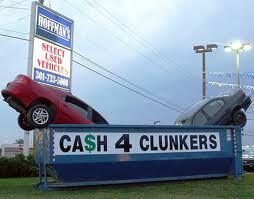 Last week I talked a bit about the waste of money that we named “Cash for Clunkers”. Basically, 7 months after cash for clunkers ended, the same amount of cars wound up being sold. Wanna know the unintended consequence? Guess what else the Cash for Clunkers program did? Well, what do you think happens to the price of a thing when you remove a whole bunch of things from the supply of things? The price of the thing goes up. Oh yeah, and the “Green” aspect of this whole thing? This plan to remove the most fuel inefficient cars from the road? 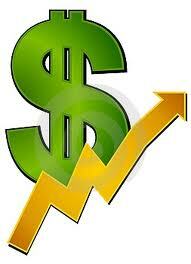 the reduction of carbon dioxide attributable to the program cost no less than $237 per ton. In contrast, carbon emissions credits cost about $20 per ton in international markets. Obama overpaid for carbon by a factor of 12. This entry was posted in Economics, Politics: National, Transportation and tagged Abuse of Power, Barack Obama, Cash for Clunkers, Green Jobs, Leftist, Liberal, Stimulus. Bookmark the permalink.